with an army of Sackbots at your command? 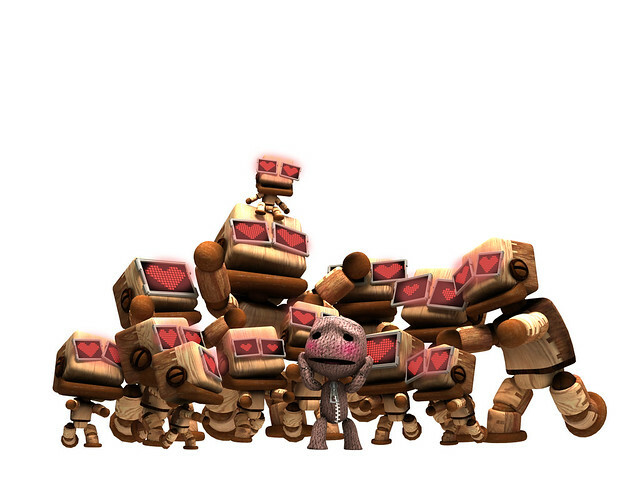 Concept: Sackbots are one of the revolutionary new features included in LBP2. A Sackbot is a Customizable Artificial-Intelligence Unit that you can program any way you'd like. They can have some very simple settings or perform extremely complex actions. Through just this one feature, the possibilities are already endless and we want to see what you can do! 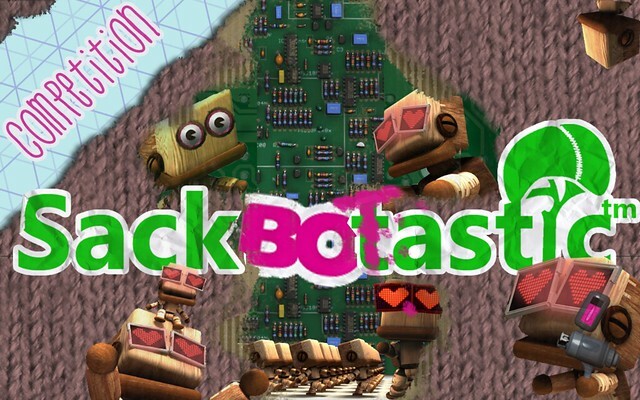 Goal: Build a Level that includes a Custom Sackbot Technology that you created. You don't have to have more than one Sackbot in the level, we just need to be impressed by what it can do and how it interacts and works in the level you've created. The level must be a real level, whether it's a replica of another game, an original storyline, or whatever you want - it doesn't really matter but it should keep our attention and be worth playing. You may also have more than just one custom set of Sackbot Inventions. It could be a level where each Sackbot portrays a specific character and interacts with Sackboy differently... If you'd like, the player may also become the Sackbot through use of the Controlinator, but make sure the controls play smoothly and aren't too frustrating nor hard to lean. Potentially, we'd like to see levels where Sackbots work together (or work with Sackboy) in unique ways to create a specific type of gameplay all its own. An Official LittleBigPlanet Sackboy or Sackbot (if available by the end of the contest) Plush! * This High-Quality Plush Doll from Senario is Officially Licensed by Playstation and It Could Be YOURS! *Specific LittleBigPlanet Merchandise Won is Subject to Availability of the Item(s) We Choose Upon Completion of the Competition. We'd Like to Deliver an Official Sackbot Plush from the LittleBigPlanet Series 3 Collection to the Winner Ideally, but the Release Date of the Product from Senario has Yet to be Confirmed. However, we are starting the contest early and informing you of all this now because we understand it may take you awhile to get used to all the new Creation Tools in LittleBigPlanet 2 before you feel comfortable making a real sufficient entry to the SackBOTastic Competition. This will be kept in mind upon coming up with an Official End Date for the Contest Period. 3. The contest period will officially start on January 18th, 2011 at 12:01 AM Eastern Standard Time, at this point, you may begin to publish your level online and start officially submitting your entry into the contest properly. you may no longer publish and/or re-publish your entries online nor submit your entry into the contest properly. 2. This is a Contest for the LittleBigPlanet 2 version only on the PlayStation 3 Console. 7. If your level includes Sackbot Technology borrowed from another level that you are taking credit for, your entry will be disqualified. 11. Ideally, you should be 13 Years of Age or Older to Participate. If you are under the Age of 18, we will need a consenting legal guardian to report your adress and confirm our allowed shipment if you win. 12. Anyone in any region may participate, but we may decide that we can't ship the prize to you for a reason. In this case, a monetary value set in USD may be sent to you through a form of online payment like PayPal. ™ can not be held responsible what-so-ever for prize loss, shipping failures, etc. but if there is a problem we see as needing our attention, we will do our best to resolve it.